The Parthenon of North Greece. First time i heard of this village i was impressed by its name. When i googled it to check on some photos i was astonished. And when i visited it i fell in love with it. It is so beautiful that you might feel like Alice in wonderland wishing never to go back to reality. 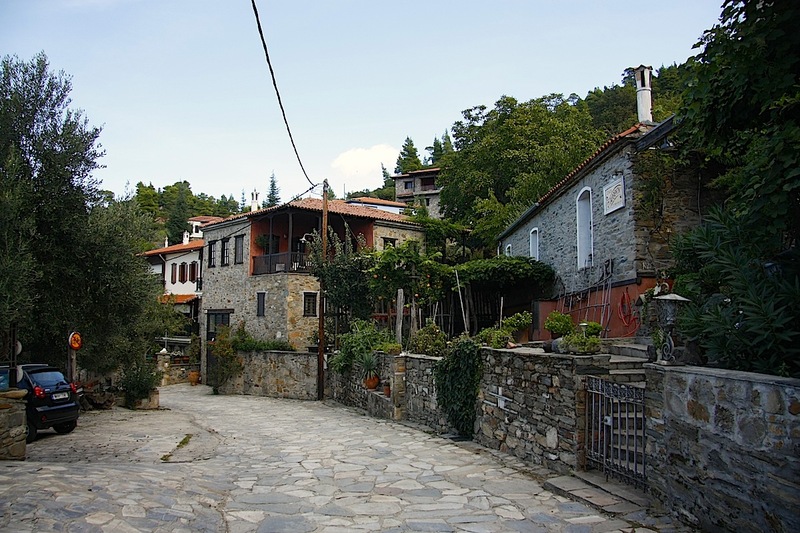 At the footsteps of mountain Dragoudeli, Parthenonas village is one of the most beautiful and traditional villages of Halkidiki, probably the best i would say, mainly because of its amazing site. 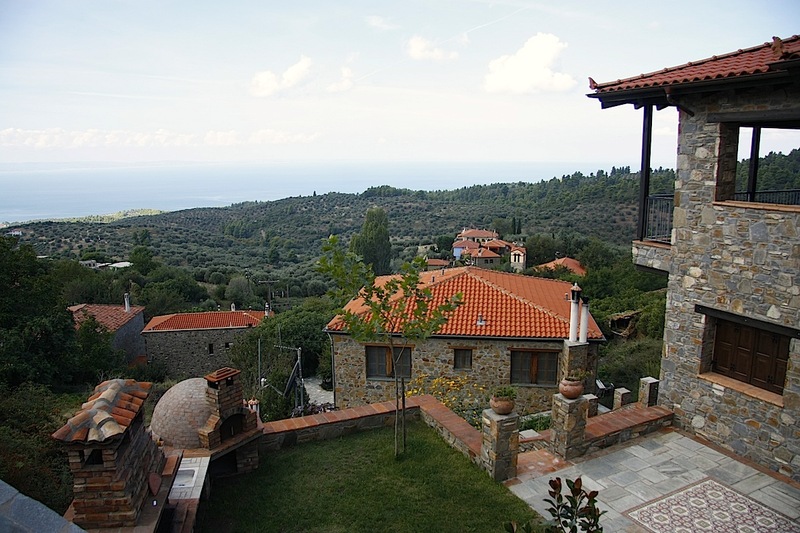 While it is on the mountain hills it has a magnificent view over the bay of Marmaras and the first foot of Halkidiki. 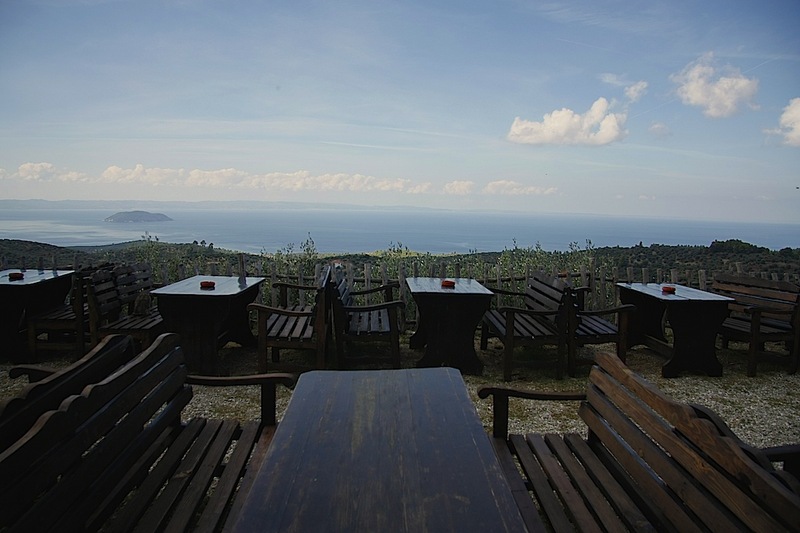 Endless nature, charming view over the sea, sunset thrill, traditional houses and guesthouses. 3 in one, pack and go. The village is multicultural. 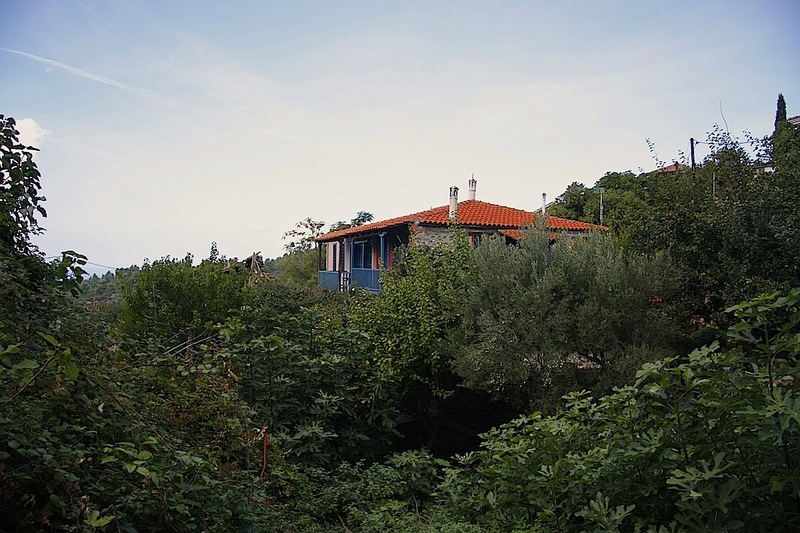 Although it only holds four (4) residents during winter time, from spring till autumn it is occupied by english, french, portuguese and german people who own some of the houses of Parthenonas. 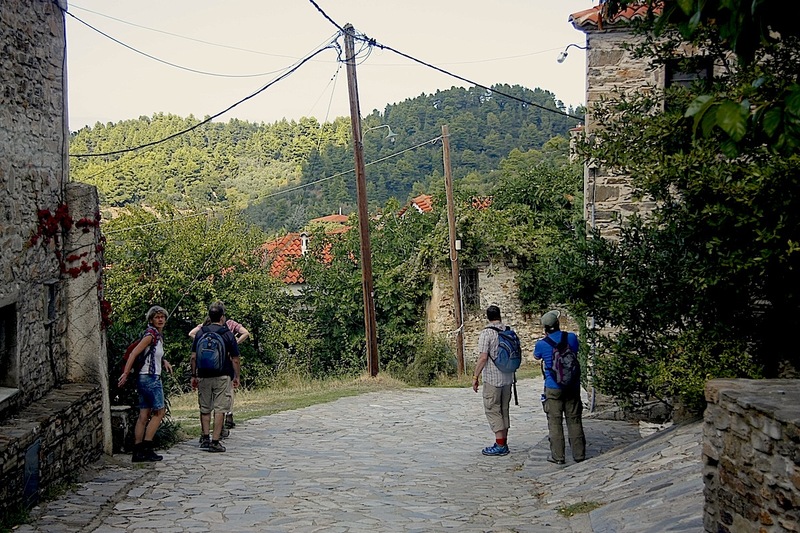 Across its stone-made paths, you will meet travelers, hikers, cyclists and other naturalists going up and down the village to sometime reach up to the top of Dragoudeli. 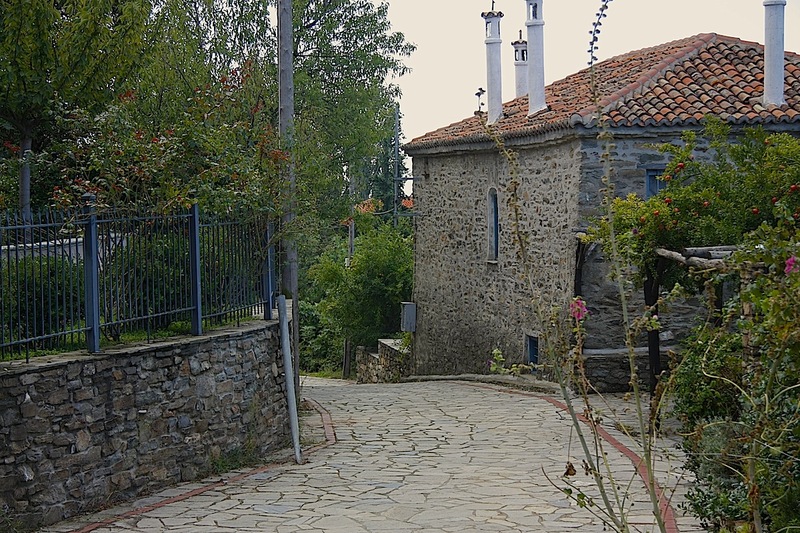 The Macedonian architecture is prevalent, with beautiful traditional details and handmade chimneys, large courtyards with pomegranates, vaccinia, apple trees, pears and various other trees. 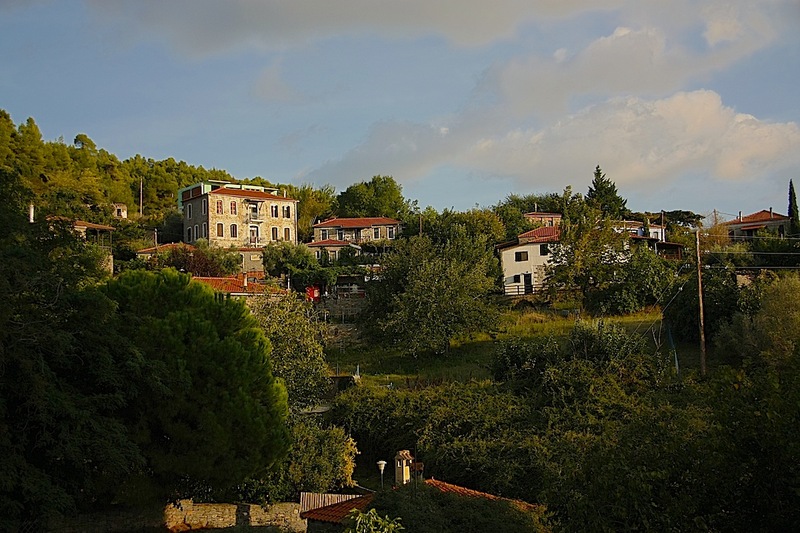 Fresh mountain water is running through the village's fountains and a magnificent church of 1837 will blow your mind together with the local school which is now a folklore museum. 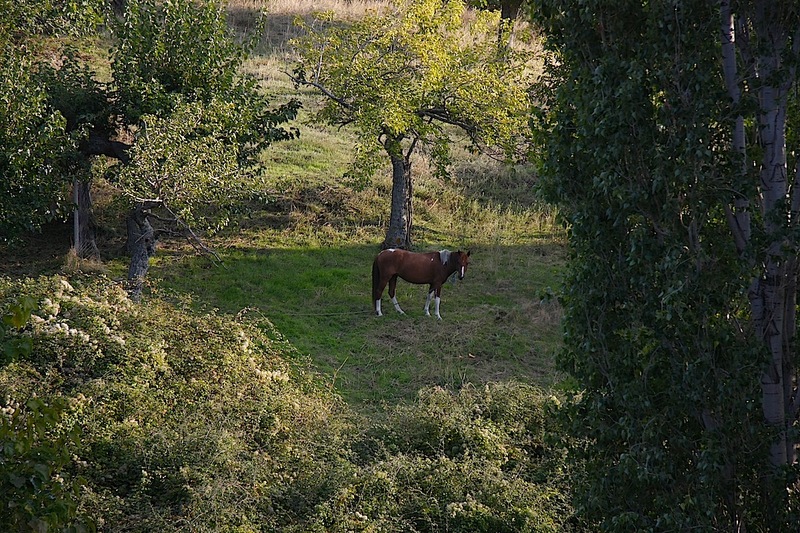 The climate is mild in the village. The temperatures are ideal during all seasons, as the summer is cool and winter temperatures do not reach below -2 degrees Celsius. 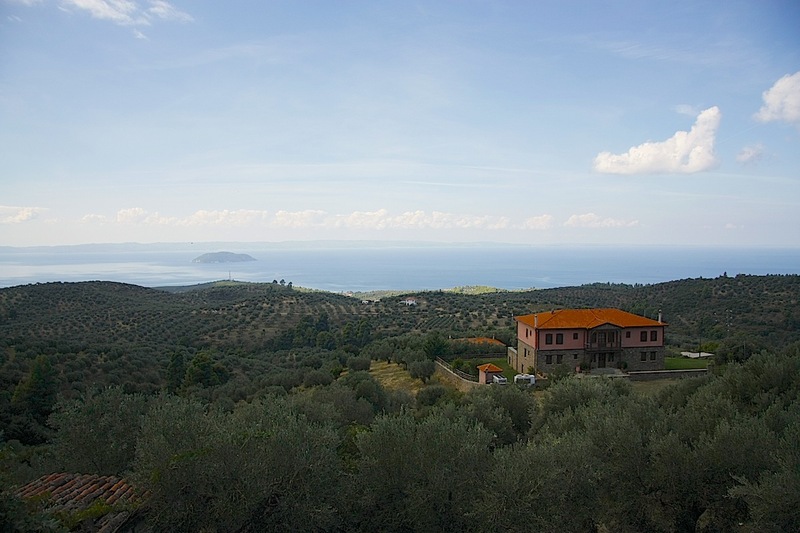 "All seasons are beautiful," says Mr. Stelios from the Guesthouse Horostasi "But spring at Parthenon, my child, is something like impressionism." Hey i am Athena and this is my slogan “I haven’t been everywhere, but it’s on my list.” – Susan Sontag. I am the creator of Alternatrips.gr, a Greece Travel Guide made by locals. Together with nearly 100 local-ambassadors we are trying to make up a guide with the best places you can visit in Greece. Follow us and enjoy! Join us for free and get our special places, tips and offers straight to your inbox! Real food and flavors in taverna Zerzova of Gortynia. 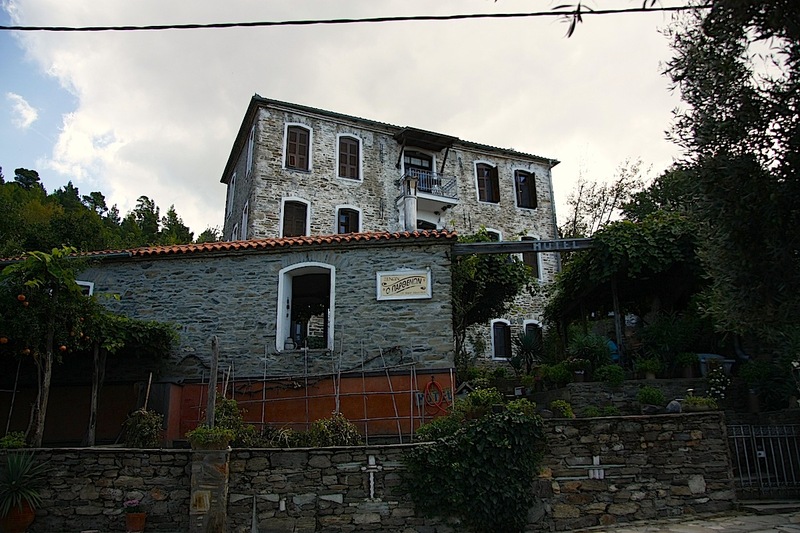 Mini Guide to Damouchari -Mouresi - Papa Nero - Kissos, East Pelion. 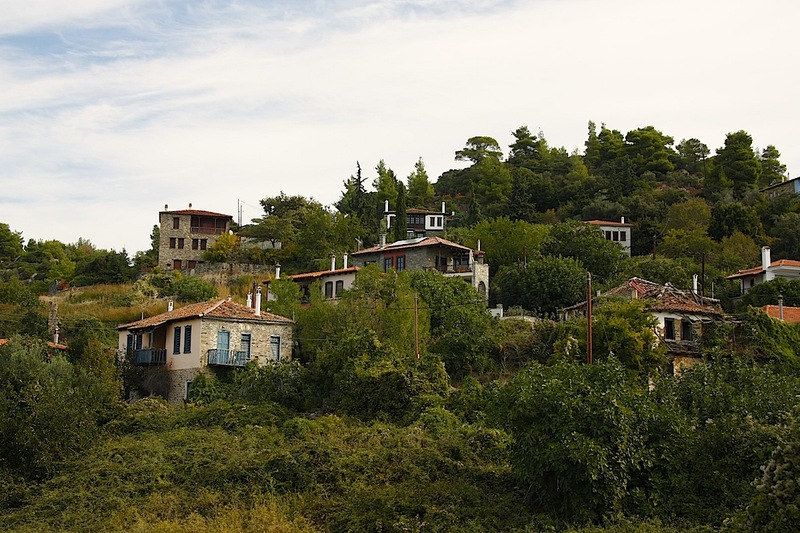 Islet of Trikeri, a rare beauty of Southern Pelion. Samothrace, the island of the Big Gods. Kerkini Lake: 15 things you must do when you get there. Having fun at "Aggali" Beach in Folegandros. 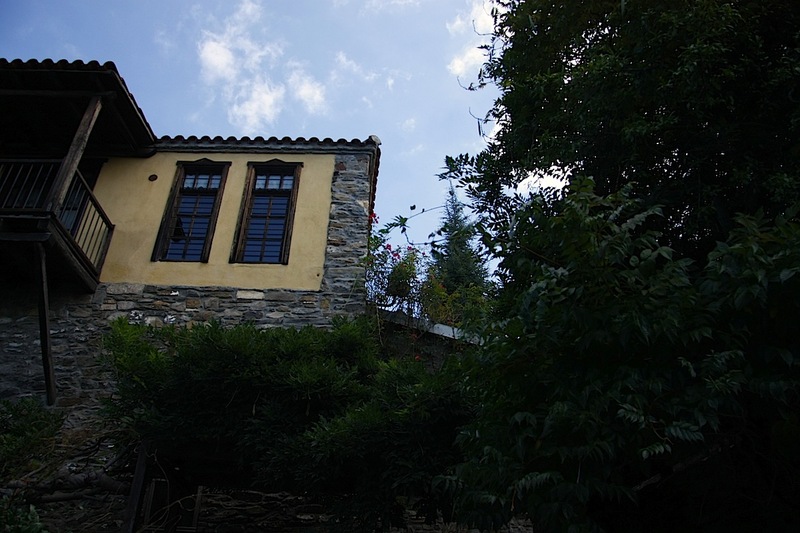 Gamila Rocks, an adventurous guesthouse at the heart of Zagori. 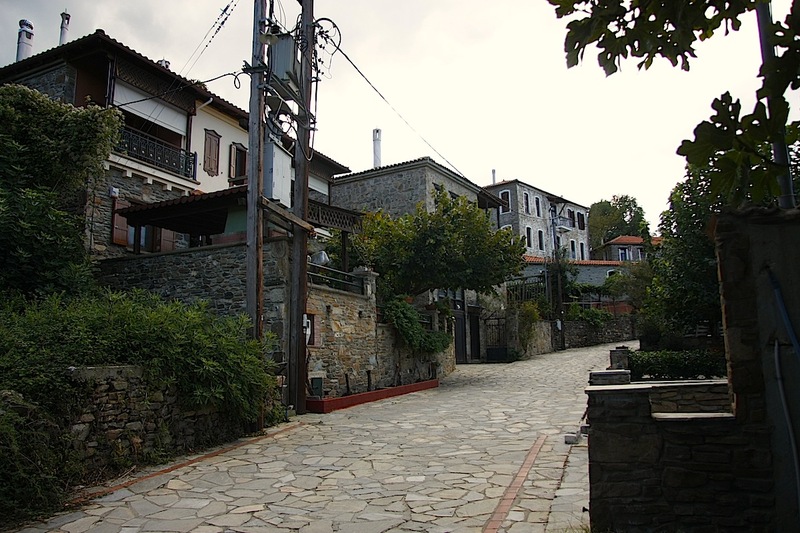 7+7 places i love to visit at Kavala city - a local's point of view. 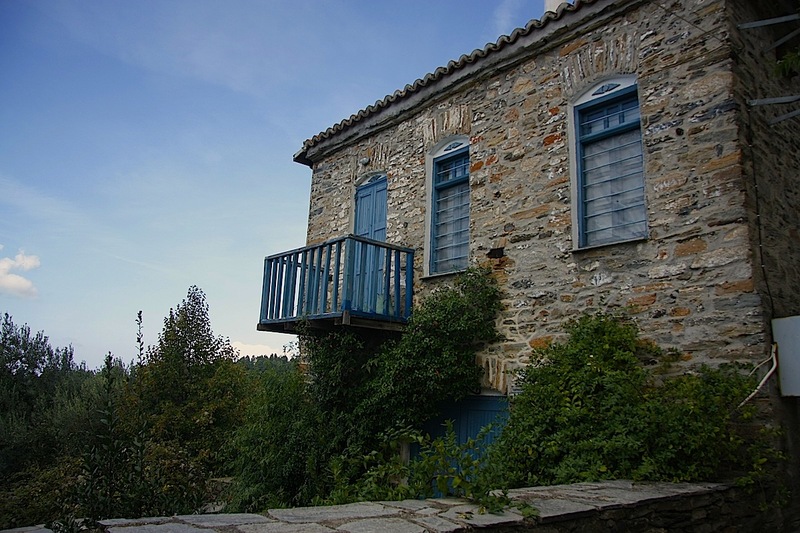 Traditional Guesthouse Horostasi at Parthenonas village, Chalkidiki. Aegialis Hotel & Spa Amorgos, the only 5 star hotel of Cyclades.